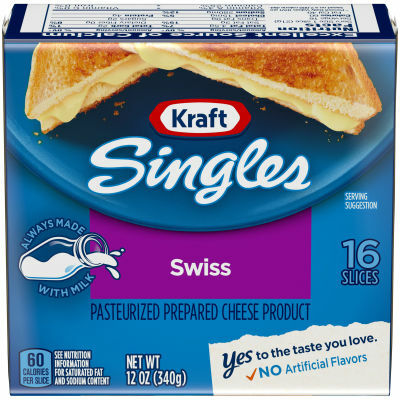 Explore the amazing flavor of Kraft Singles Swiss cheese slices. Swiss cheese singles are a delicious addition to any sandwich or burger. Enjoy a slice of melty, Swiss cheese goodness today!